In the swirling tumult of war, troops might not always make it to battle when a commander might expect them. Veteran leaders will be able to compensate and simply pray that the reinforcements get there soon. Eventually, though, those troops will make it to battle. 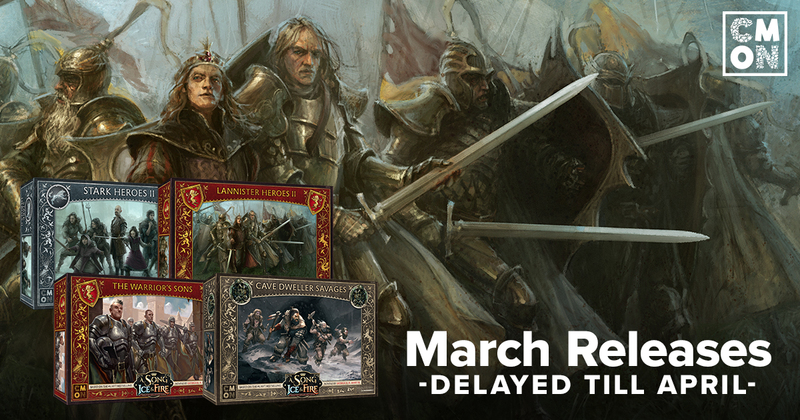 We are sad to say that there will be a delay in the release of the March sets for the A Song of Ice and Fire: Tabletop Miniatures Game. This means that the Stark Heroes II, Lannister Heroes II, Lannister Warrior’s Sons, and Free Folk Cave Dweller Savages will be pushed back and have an April release. However, those who are up in Chicago for Adepticon this weekend may still have a chance to get their hands on these new figures. We have very limited quantities available! Stop by booth 107 and see! We apologize for the delay, but things will be back on track for next month.